WebApp is focused on making communication easier, faster and more enjoyable by making information available and accessible in a simple way. WebApp 3.4 will be another big step in that direction and today we’re happy to announce the availability of WebApp 3.4 beta. 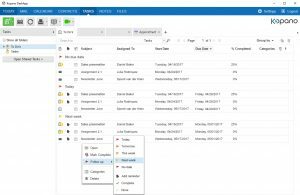 This version introduces improved categories, handling of flags on emails, a to-do list where everything comes together and much more. If you’ve checked out our roadmap, you may know that ‘information management’ is one of the primary themes for WebApp product development. We’d like to take this opportunity to share some of the highlights in this release that fit to that theme. 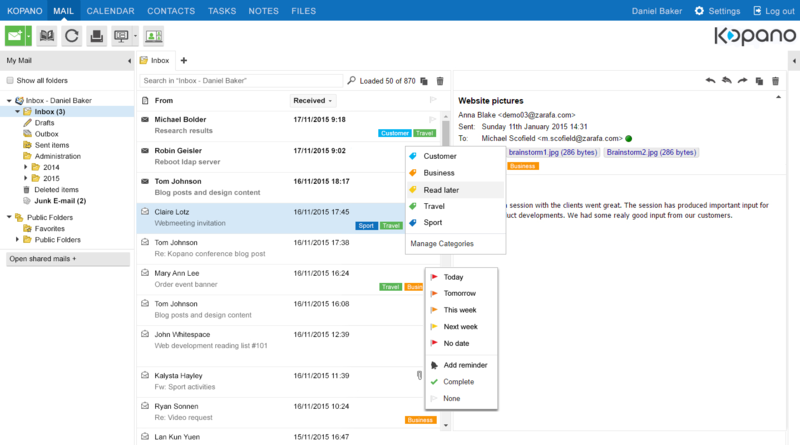 While it has always been possible to add flags to email items in WebApp, this new feature takes that to the next level. 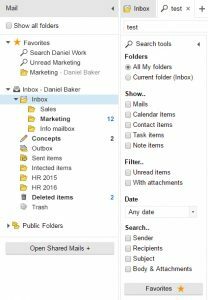 From this version on, you have the ability to add/set a flag to email items in order to mark them for follow-up. The new flags menu allows you to select a date before which you want to follow up. This will also create a reminder! 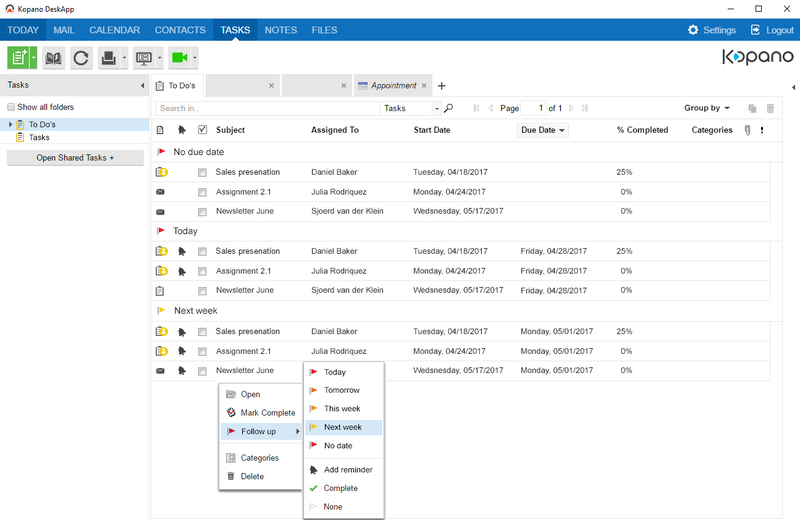 The Tasks view now provides a complete overview of your to-do’s: every task as well as every message flagged for follow up appears on this list and each item can be opened directly. In previous versions of WebApp, categories were a quite ‘hidden’ feature. This new version takes a new approach with categories and gives them a prominent place in your overviews. Adding a category is quite easy can can be done from the overview (hover an email to see the ‘add category’ icon and click it), or right click an item to open the context menu. Categories can be used to organize your information. 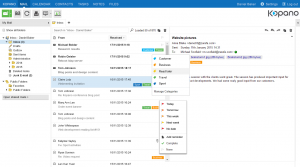 The category name, combined with colors can be used on email, calendar items, contacts and more. 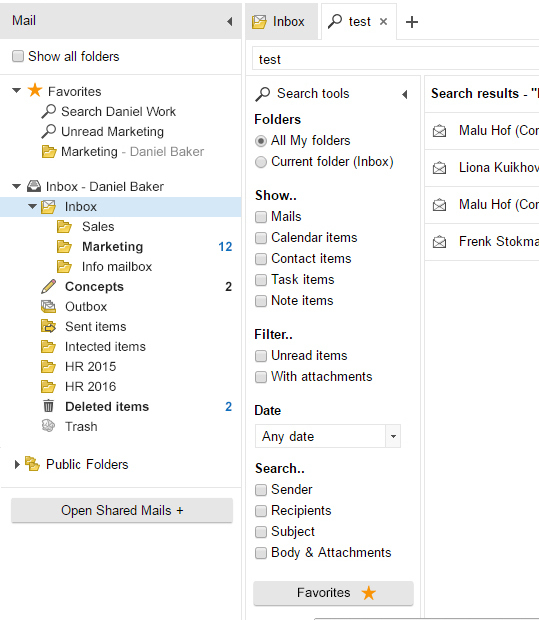 In your inbox, categories are prominently displayed in each email, allowing you to see what is what in one glance. 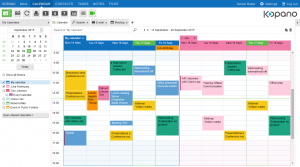 Your calendar overview can get very colorful when you use categories, as your meetings and appointments will be shown in the color of the category. Additional categories can be seen when hovering the item or directly when in the list view. Older versions of WebApp provided a combination of flags and categories in the form of the colored flags. Previously, when you set a flag (e.g. yellow), your item would be marked as ‘flagged’ (without a due date or reminder added), and it would get a category with the name of the color (yellow, in case of the example). All items that used to have a colored flag assigned, now display a category with the corresponding color assigned to it. When you first use a ‘new style’ category that corresponds with the traditional colored flags, WebApp will ask you if you want to give this category a new name. If you choose a new name, old items that had that colored flag assigned will also display the new name. This is intended to get an easy jump-start into the new categories feature, and it can only be used once per category. If you’ve got a search query you use frequently you’re in luck! After you’ve completed a search you can now save it as a ‘search folder’ which will show up in your favorite folders list! Clicking it allows you to start a search with the same terms in just one click. For the full list of changes, check out the changelog. Where do I get the release? The packages for this new version have been synchronized to the repositories, the portal and the download server! The WebApp documentation has been updated where required and is available on documentation.kopano.io. As always, the latest development version can be downloaded from the community download server. If you have any feedback, send an email to feedback@kopano.com or open a topic in our Kopano forum!